Yes those are new Life skill Heros coming out like previous Heros. *Note: the Free rebirth they talking about is the event, where it is allowing free daily rebirth. Actual update will be the previously announced free weekly rebirth. Free daily rebirth too op. 118+ AP every day. be released in July 11th. Through the promotional video, you can have a grasp on what are the main points of the update this summer. First of all, through the 'Give to all! Project,' all players are able to rebirth once a day as well as be able to use the premium package first starting July 11th. Also mentioned is that the bugfixes announced earlier will also be done during this time. Beginning in July 25th, new Zero heroes focused on life talents will be revealed though the 'Make it fun! Project.' 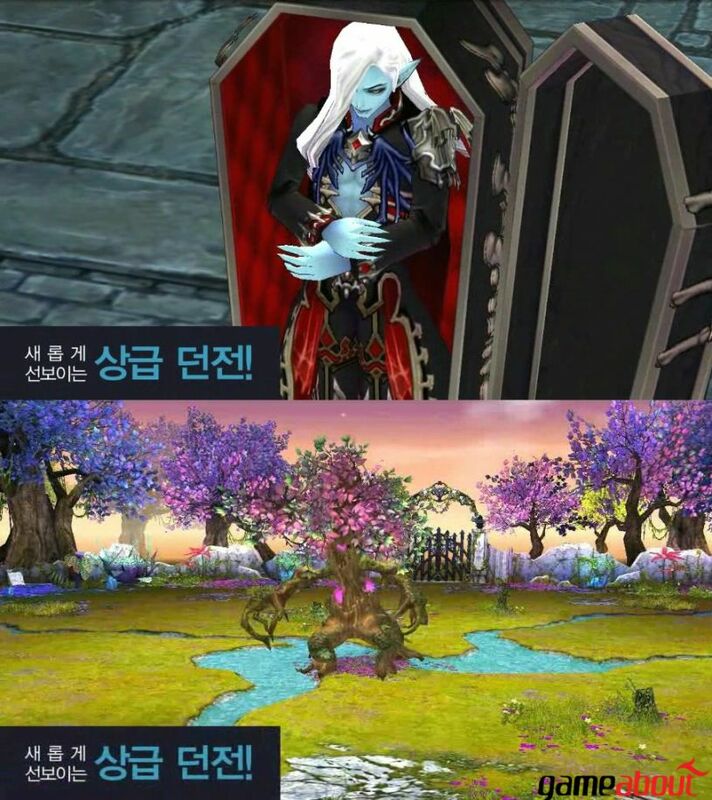 The video shows artwork of the new life talents 'Master Chef' and 'Treasure Hunter.' Other than that, a couple shots of the new advanced dungeons has attracted the attention of players. Lastly, 'Mabinogi Smart Content' and new mobile synchronization coming this August through the 'Win your heart! Project' has been revealed. The video shows a person shout "Summon" which makes Nao on a mobile device also appear on the computer screen has created curiosity among players. Hrm, those guns don't look too blatantly crossover-combat-style-ish. Breaking the trend for Hero talents, maybe? Daakun wrote: Hrm, those guns don't look too blatantly crossover-combat-style-ish. If it's a talent focusing on life skills, that's make sense. Though a name like Treasure Hunter implies Adventure talent, so maybe it counts as a dream catcher? Or at least provides a small bonus to the collection rate? I'm curious as to what talents the Master Chef would involve. Close Combat would look likely with all those knives, but Vate already covers that. I really don't think the Hero talents should overlap that much yet, especially considering Druid and Diva already share the Cleric talent. But ultimately, I don't see myself using Master Chef, because nobody eats in Mabi. Darkelourd wrote: But ultimately, I don't see myself using Master Chef, because nobody eats in Mabi. I'm always hungry. Thanks Bunnynyan! So I guess we can expect him to become a sword when we destroy his face. The Holy Bowl of Ramen!